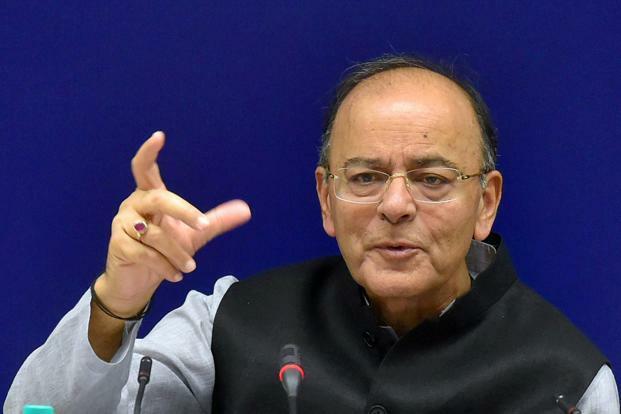 Jaitley, who is on a week-long visit to the US to attend the annual meetings of the International Monetary Fund and World Bank, said under the GST the government has unveiled attractive schemes to ensure that the non-compliant in India become compliant. 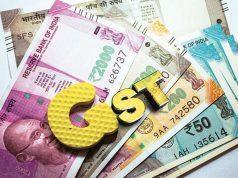 “Many attempts have been made by political groups to derail the GST, but I am glad that their own state governments are not listening to them because they know 80 per cent of the money is going to come to them so they don’t have to appease an ill-informed central leader of the party and let the revenues of their own state suffer,” Jaitley told a New York audience. “So, the state governments are being wiser,” Jaitley said in response to a question during an event titled ‘Indias market Reforms: The Way Forward’ organised by the Confederation of Indian Industry in association with the US Chambers of Commerce. The obvious problem in the GST, he said, is going to be that the noncompliant are going to eventually come in to the net. “And therefore there are going to be different complaints — some legitimate some manufactured thrown up by the non- complaint how GST is creating a problem for them,” he said, adding that the government needs to have capacity to distinguish between a genuine and a manufactured complaint. 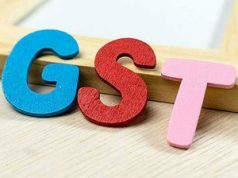 The GST Council, according to Jaitley, is India’s first genuine federal institution, which meets every month, reviews the monthly situation, takes the decisions, reviews the rates and changes of rates which will take place in the times to come itself. “It’s been a fairly smooth transition,” he said. “So the lowest slab in India is five per cent, which doesn’t exist anywhere in the world. That is because of the non-compliant tax character of the Indian society. You make it easy for people to enter the taxation system that you are able to expand. In the GST, for up to 10 million turnover we now have a scheme for them,” he said. 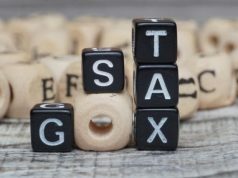 “We are trying to bring them into the tax net because the first two months data has shown that almost 95 per cent of the tax is just being paid by 400,000 accesses. Therefore, it’s very top heavy in terms of payment. And there’s a need to continue to expand the tax base at the bottom itself,” he said. Earlier, Jaitley responded to a question on the biggest challenges for the GST during a conversation with Dan Schulman, president and CEO of Paypal and Chandrajit Banerjee of the CII. At the event, Jaitley said global integration of the Indian economy is happening at a time when other economies are becoming more protectionist. Asserting that India is now a better place to do business with because of the series of steps being taken by the government in the last three years, Jaitley said procedures have been simplified. Now as much as 95 per cent of the investments are through automatic route, and foreign investment promotion board has been abolished, he noted. Today, 99 per cent of tax queries are addressed online, he said. Now states are being ranked on ease of doing business, he said. India is now capable of taking big decisions and implementing them at a large-scale, Jaitley said. As many as 250 highways projects are under construction. India is now having surplus power and the capacity of Indian ports have been expanded, he said. Responding to a question on digital payments, he said the younger generation is taking on to modern payment methods in a big way. Further, all government benefits are linked directly to bank accounts. The government has introduced low-cost insurance policies to incentivise the bank holders, he said. Jaitley also addressed American investors on recent economic reform initiatives. He is slated to address the Columbia University students on Tuesday. The finance minister is here in the US to attend the annual meeting of the International Monetary Fund and the World Bank. But before arriving in Washington DC for the annual IMF and World Bank meetings, he would travel to Boston to address the students of the Harvard University and interact with the US business community in Boston. During his three day stay at Washington, the finance minister will hold a bilateral meeting with US Commerce Secretary Wilbur Ross. He will also participate in an interactive seminar organised by the Ficci on — “India Opportunity Conference” and attend the G-20 Finance Ministers and Central Bank Governors’ Working Dinner on October 12.